The controversy surrounding Mayor Catherine Pugh’s former seat on the University of Maryland Medical System Board continues to unfurl as recently reviewed documents confirm funds the hospital spent purchasing copies of Pugh’s book were labeled as grants. BALTIMORE — The controversy surrounding Mayor Catherine Pugh’s former seat on the University of Maryland Medical System Board continues to unfurl as recently reviewed documents confirm funds the hospital spent purchasing copies of Pugh’s book were labeled as grants. 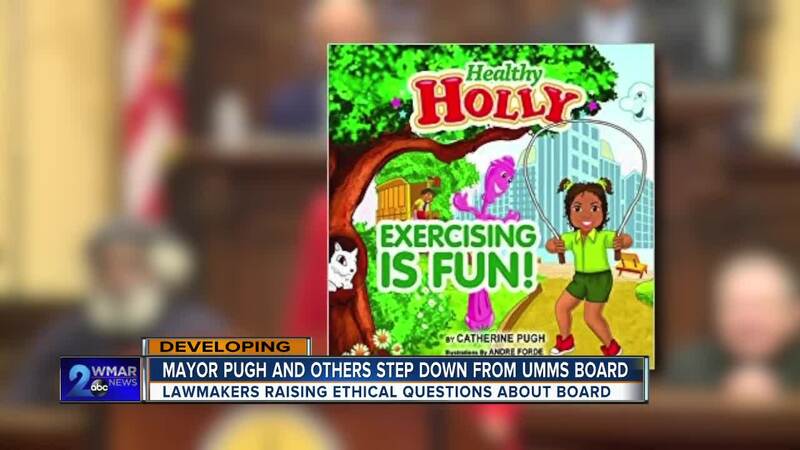 In 2015, the hospital purchased copies of Pugh’s children’s book “Health Holly,” for the expressed reason of distributing those publications to Baltimore children. The purchase cost $100,000. A review of a 2015 990 tax form, a financial filing required for nonprofit organizations, which the university health system is, showed UMMS labeled the $100,000 expenditure as a grant to Pugh’s “Healthy Holly, LLC” company. Filings for that company show it is linked to Pugh’s home address. The 990 form also shows a $25,000 grant to Governor Larry Hogan and Lt. Governor Rutherford Hayes’ inaugural committee. A similar transaction played out in 2017, when UMMS bestowed another $100,000 grant for the purchase of 20,000 books for the Baltimore City Public School system. That grant was also linked to Pugh’s home address. On Wednesday, UMMS Communications Director told WMAR-2 News Pugh returned the $100,000 she made through her book sales back to UMMS within the past ten days. According to the Maryland Campaign Reporting Information System, Pugh used funds earned from her children's book and a made total of $7,040 in political contributions. One thousand dollars was contributed to Baltimore County Executive Johnny Olszewski and Maryland State Senator Jill Carter. Forty dollars was contributed to B.E.S.T. Democratic Club PAC and $5,000 dollars was sent to herself. Baltimore Senator Bill Ferguson called the situation a disaster and the last thing that the city needs right now. After defending her role in the sale of her books, Pugh stepped down from her position on the UMMS Board on Monday after the medical school’s $500,000 purchase of 100,000 total copies of two books published by Pugh’s company came to light. In both incidents Pugh’s involvement with the Board was not disclosed, which may violate a rule. The lack of disclosure may also create tax issues for UMMS, as nonprofits have strict rules about the labeling of financial expenditures. The Chairman of UMMS has recently requested four Board members whose businesses currently have relationships with the Medical System to immediately take a voluntary leave of absence from the Board while they thoroughly review their governance practices and move toward transparency. Two UMMS board members have since resigned, John W. Dillon and Robert L. Pevenstein, according to UMMS. "Let me be abundantly clear, this is not a reflection on any of the affected Board members or their businesses. Our Board members are incredibly talented professionals who bring invaluable expertise and perspective while advancing Maryland’s own world-class health care system," said UMMS Chairman. 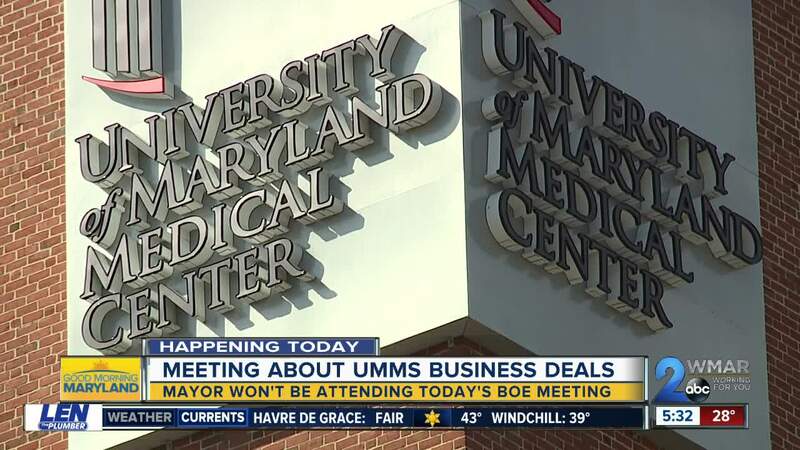 Governor Larry Hogan and other state leaders plan to meet with the University of Maryland Medical System's President, CEO and the Chair of it's Board.